Wells Fargo is set to launch a new pay plan next week to replace the wildly unrealistic sales goals that have been blamed for corrupting its retail bank workers. Instead of lofty sales targets, which were eliminated last year amid a firestorm of controversy, Wells Fargo (WFC) said on Friday that it's employees' new compensation structure will emphasize customer satisfaction. The 2017 compensation and incentive plan, effective January 1, 2017, will feature added oversight and accountability, a spokeswoman confirmed. Wells Fargo said it will begin communicating the plan to employees next week. Mary Mack, Wells Fargo's head of community banking, recently said the new pay plan's "primary focus will be on customer service and growth." The compensation rollout is central to Wells Fargo's efforts to repair a 165-year-old storied reputation that was tarnished by the scandal over the creation of as many as 2 million fake bank and credit card accounts. Wells Fargo workers have said the old sales goals -- aimed at selling at least eight financial products per customer -- were so unrealistic that they could only be met by cheating. 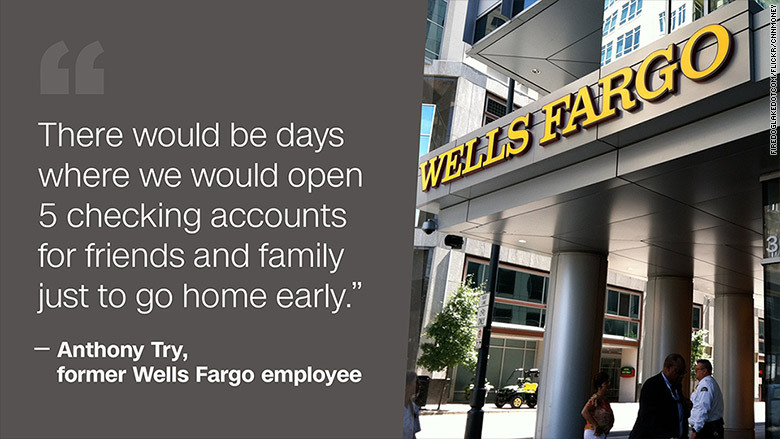 To hit their targets, Wells Fargo employees engaged in sordid tactics such as "pinning" -- the practice of issuing unauthorized ATM cards and assigning PIN numbers. Other Wells Fargo workers created fake customer email addresses such as 1234@wellsfargo.com to complete applications. "It was ingrained in the culture for a long time," Anthony Try, a California Wells Fargo worker who quit in 2013, recently told CNNMoney. Warren Buffett, whose Berkshire Hathaway (BRKA) is Wells Fargo's biggest shareholder, believes the bank made a "terrible mistake" by keeping in place sales goals that "corrupted people." 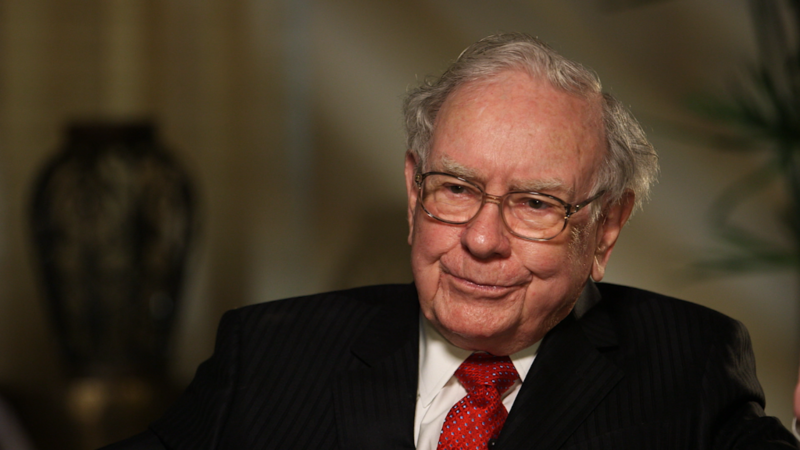 "It was a dumb incentive system," Buffett told CNN's Poppy Harlow in November. Wells Fargo first announced plans to scrap the sales goals on September 13, days after the settlement that set off the controversy. Two weeks later, on October 1, Wells Fargo said it would nix the sales goals, ahead of its original plan to keep them in place for the rest of 2016. Wells Fargo has struggled to open as many new accounts in the wake of the scandal and without sales goals. The bank said new customer checking account openings plunged by 41% in November compared with the same period of 2015. Credit card applications dropped by 45% year-over-year. "We know we have more work ahead of us," Mack said last month.